Happy Summer Holidays! In this edition of the IHS E-newsletter we are thrilled to share three fabulous features from inspirational horn players with entirely different backgrounds who are based in the Middle East. Ranya Nashat of the Iraqi National Symphony Orchestra is a luminary to us all. Peter Davida, the Hungarian principal horn of the Qatar Philharmonic, tells us about life in Doha. Finally, there is an amazing a video clip from the East-West Divan Orchestra. It showcases how both worlds can be brought together and where deep human relationships and friendships are created through music. This summer newsletter is filled with unusual perspectives and the challenges of playing western classical music in countries where their own traditional classical music prevails. We hope you enjoy reading their interviews. They are thought provoking and stimulating as to how music unites and changes our world….. wherever we are led to play. 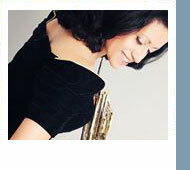 Kristina Mascher-Turner: How did you first discover the horn and decide you wanted to play it? How old were you when you began playing? Ranya Nashat: I discovered the French horn when I was 9 years old at the music and ballet school in Baghdad, where I was a student. The school policy was that they chose what students play. My teacher showed up and introduced me to his shiny French horn - I was mesmerized by the color. My parents were against what they called a “boy's instrument.” They wanted piano or violin or flute, but I was so determined to play the shiny new thing whose name I couldn't spell. The first time I saw an orchestra (Iraqi National Symphony Orchestra ) was in 2005. I saw and recognized my teacher playing. When I got out of the concert, I said to myself, this where I belong. 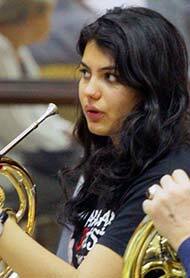 KMT: How common is it in Iraq for women to play the horn, and for women to make a career of music in general? RN: It is not very normal for women to play horn in Iraq - I had only heard of one other before I started to play with the orchestra. Now it is only me, so that is why when I started teaching at the music and ballet school I wanted to teach girls more than boys haha! Trying to start my army of French horn girls. Yes, it is okay for women to make a career out of music, but it's challenging. We have 10 female musicians now in the INSO. KMT: Can you tell us a little about the Iraqi National Symphony Orchestra? How old is it, and how did it get started? RN: The INSO is the Arab world’s oldest orchestra. It was founded in the late 1940's by a group of musicians from the Institute of Fine Arts. KMT: Do you only play Western classical music, or are you also involved in any other genres, such as traditional folk music or popular music? Through the end of 2016 we are running a contest to recruit new members for the IHS. The prize for recruiting the most new members is a choice of $100 off the price of registration for IHS 2017 in Natal or a Skype lesson with an Advisory Council member for the winner or his or her student. To enter, go to the website, log in to your member account, click the "Enter Now" button and invite friends, acquaintances and students by entering their email addresses and an optional personal message. 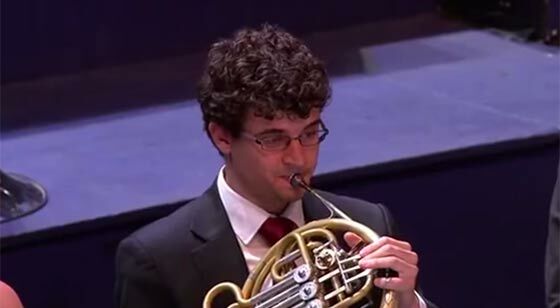 With this month's E-Newsletter being focused on horn playing from the Middle East, we thought it might be nice to hear these musicians, as well as read about them. Here is a live broadcast from the 2014 BBC Proms of the West-Eastern Divan Orchestra, an orchestra of young professionals from Israel and Palestine, brought together by conductor Daniel Barenboim. Enjoy--especially the Ravel Pavane (starting at about the 44 minute mark), beautifully played by principal horn Jorge Monte de Fez! Click the image to see the video on YouTube. I will never forget the dirty room with the "honky-tonk" piano at the Cairo Hilton at my audition. It was impossible to tune to it. My tuning slide fell on the carpet playing half way through the intro of Strauss 1! I also remember that the jury asked at the end of my last excerpt: "What the hell do you want to do in Qatar? Do you know the place? Do you really want to live there?" 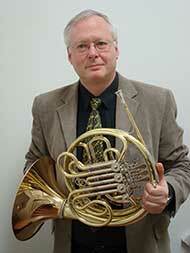 The standard of horn playing is nowadays far higher than it was at the beginning of my career. Through the media we have access to fantastic recordings, to knowledge about the many physical aspects of horn playing (embouchure, air control, body posture etc.) and to a lot of tools giving support to the mental aspects of stage performance. There is however a reverse side to the medal. The equality in approach and sound ideal lead too many times to a humdrum uniformity. What is the deep sense of worldwide concert tours as almost all the orchestras sound more or less the same? Like in nature we absolutely need biodiversity. We should realize that in art, copies have basically hardly any value. With all the free modern media, we make ourselves completely superfluous, if we not are playing with a strong personal, not interchangeable, touch. All the available tools concerning developing embouchure, air control and mental stability are without any doubt very helpful, but at the end just tools. The ultimate goal is of course a unique, genuine expressive and musically eloquent presentation.